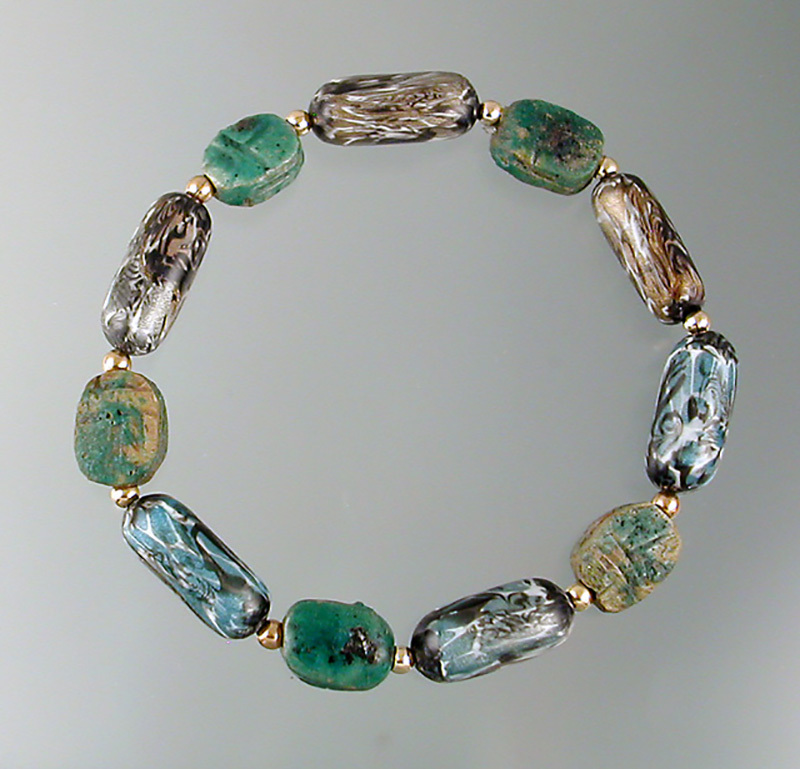 Intricate patterns in turquoise, bronze and black polymer are paired with vintage Egyptian glass scarabs in this bracelet on stretch cord. With 14kt. 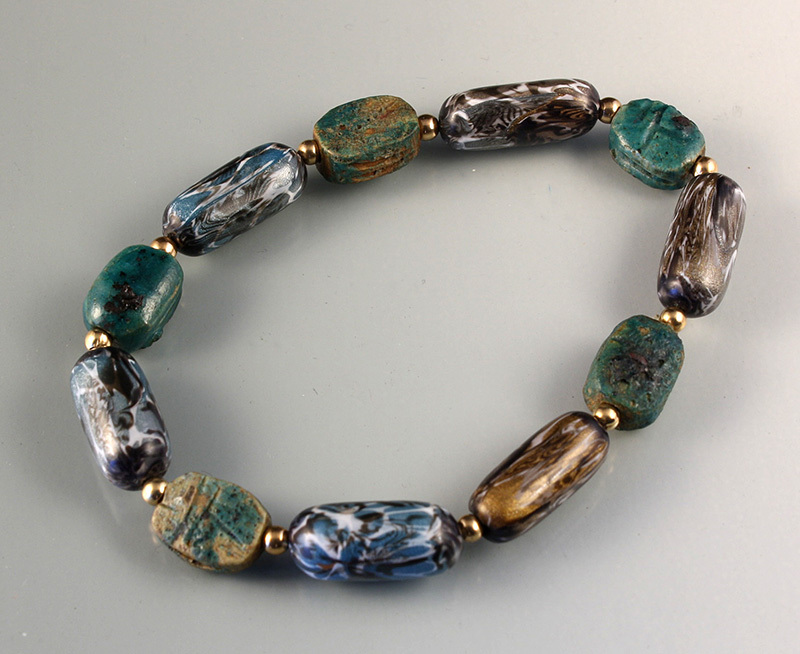 gold-filled beads.